Explore a large lego display, as part of the annual lego show, Brickshow. Play building bricks presents a large Lego exhibit for viewing by the public. This exhibition is presented with the participation of BAYLUG (Bay Area Lego Users Group) and is sponsored by the Bay Area Family Church with support of The Principled Academy. 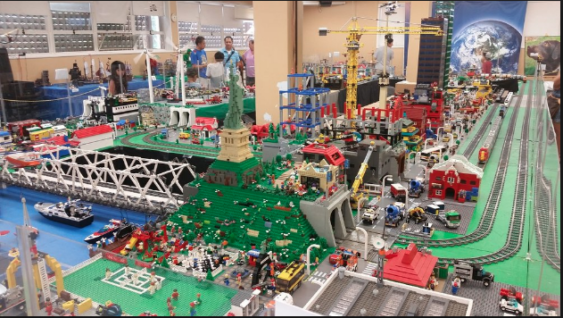 The exhibit will feature a large Lego city plus other displays and models that will include a medieval display and Lego friends to name just a few. Many hours have been invested over the years, and this is the opportunity you can see it. Besides the exhibit, there is a playroom where young and old can build with Lego. Legos will be available for purchase as well.